In 2007, the same year that Kanye vs. 50 Cent in an album sales battle dominated headlines in the mainstream, Blu and Exile were carving their own path with an instant classic. The rapper and DJ/producer duo released Below the Heavens: In Hell Happy With Your New Imaginary Friend on July 17. Featuring soul-infused production with the raw vulnerability of Blu’s rhymes, the album began to receive rave reviews by hip-hop tastemakers and underground enthusiasts. In a review penned by 2DopeBoys’ Shake for HipHopDX, he gave it a 4/5 and noted that Blu is an “an extremely talented lyricist; clever rhymes, technically sound, intensely personal and witty.” Below the Heavens impacted everyone in some way, as it would later end up on many critics’ year-end lists from all over the internet. 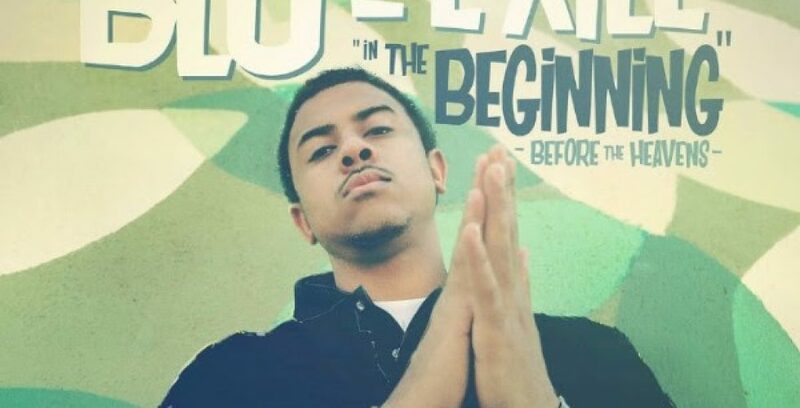 During subsequent years, Blu would go on to land a spot on the 2009 XXL Freshman Class alongside rappers such as Wale, Kid Cudi, B.o.B, and Charles Hamilton, largely based on the success of Below the Heavens. Blu and Exile would reunite in 2012 for Give Me My Flowers While I Can Still Smell Them that imbued the rapper’s multi-syllable style and the producer’s contemporary sound. Outside of their collaborative work, they have had fruitful solo careers too. Blu would drop countless mixtapes and EPs and continue to make one-producer albums with Bombay, Madlib, and Nottz. Exile recently helmed the majority of production for Fashawn’s The Ecology and released a new Emanon album titled Dystopia. The 14-track album, released through Dirty Science and Fat Beats Records, includes previously heard songs (“Soul Provider,” “Another Day” and “Party of Two” appeared on Blu’s Lifted EP) and unreleased gems from the Below the Heavens jewelry box like “Constellations,” which was intended to appear on the album and once featured Miguel. These songs are raw and untouched, featuring new scratches from Exile. It’ll have guest appearances from familiar names like Dr. Oop, Donel Smokes, Aloe Blacc, and Blame One. On July 27, Blu and Exile threw a special 10-year Below the Heavens anniversary show at the Regent Theatre in L.A. Due to popular demand, they’ve hit the road for a West Coast anniversary tour with Dag Savage, Choosey, and Cashus King. It started on Aug. 30 and will end on Sept. 13 at Chop Suey in Seattle, Washington.